There are probably hundreds of thousands of vehicles out there today with no DPF filters fitted because they have been removed. This was and is due to the high replacement costs of a blocked or worn out DPF Filters. The downside is the law, most people cannot afford a new DPF filter. So they have no choice but to find an alternative solution to the problem. With the new MOT changes that took place on the 20th May 2018 it has given the MOT inspector more powers to inspect the DPF filter fitted to your car. This article we will discuss the problems with DPF filters and what we can do to rectify the problem as well as how to maintain your vehicles DPF Filter. We hope you find this article helpful and of course if you have any question please get in contact. There are lots of problems and checks that need to be addressed before a DPF can be removed. If you decide to have your DPF removed from your vehicle you must be aware of the follow MOT law. There are stricter limits for emissions from diesel cars with a diesel particulate filter (DPF). A DPF captures and stores exhaust soot to reduce emissions from diesel cars. Check your car’s handbook if you don’t know if your car has a DPF. Your vehicle will get a major fault if the MOT tester: can see smoke of any colour coming from the exhaust finds evidence that the DPF has been tampered with. Do not remove the DPF until the ECU software that controls the DPF has been removed. This is because if you remove the DPF before the software solution has been added and the remapping company you use cannot apply the software solution or delete then you are stuck with a vehicle with no DPF and no solution to remove all the warnings and fault codes that will be generated. The vehicle will be underpowered and smoke heavily! You Must always conduct a full DPF regeneration be it static through diagnostics equipment or a forced regeneration where the car is put into regen mode but must be driven straight after the diagnostic session has ended before the DPF removal. Once your ECU remapper has visited the vehicle and has successfully deleted the DPF software (This will take around 1hr or less to complete depending on vehicle type). You can now instruct a garage to remove the DPF filter from the vehicle and remove the insides of the filter. Care must be taken when removing the inners as you don’t want to damage any sensors that are housed inside the DPF housing, as they still perform a diagnostic role on some cars. If any of the sensors get damaged then you will have to get the ECU remapper out again pay more money to remove the permanent fault codes generated from the damaged DPF sensors. If the sensors are worn, some vehicles will require a sensor replacement further added to the cost. Example: Temperature sensors, DPF pressure differential sensors and rubber piping. Once the filter housing has been replaced back on to the vehicle you are good to go. It is always worth changing the engine oil as this will be contaminated with diesel. Fully blocked DPF because the car has not been able to conduct a full regeneration. AdBlue or Eoyls tank is empty if fitted. Pressure differential pipe work split. The most missed on is that the DPF is just full of ASH! ECU Software Delete £250 this normally comes with a remap of your choice. 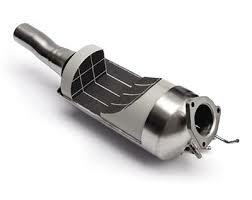 DPF Removal £300-£600 in total. Cgon Hydrogen Additive System purely preventative measure £459 all in. Hydrogen Cleaning (Hydro Clean) of the DPF £100 – £150. DPF Reversions this is if your vehicle has failed the latest MOT because the DPF has been removed. 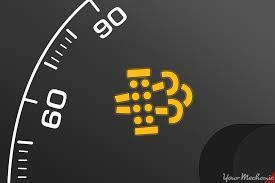 You will need the ECU Software re-instated and a new DPF placed back on the car typical cost £1,200 -£2,500. Most garages miss this problem as they wrongly assume that the filter is just full of soot. This is not the case the DPF will be full of ash particles. A DPF when it regenerates converts soot into ash, this is done by the DPF when it gets up to the right temperature to burn off the soot content. 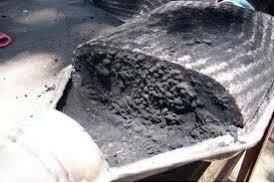 This then creates the ash and most of the time the ash stays inside the DPF and blocks it! The only Solution is to have the DPF removed and professionally cleaned. This will remove the ash content from the DPF and maybe give you another 15-25k miles of service. This procedure normally takes 2-3 days from start to finish but it really depends on how time efficient your garage is that supplies the service. The cost of this service can range depending on the vehicle type and DPF type. But it will be significantly cheaper than a DPF replacement. Drive the vehicle up and down the motorway and get the DPF into a natural state of regeneration at least once a week. Try to use a high grade of fuel maybe 1 in every 3 tank fills. Have a Cgon Fuel Additive System installed this will keep the soot and particulates down as well as saving you some fuel please go to www.cgon.co.uk for more information. Regularly conduct a Hydro Clean.